Mississippi was one of the first states to pass legislation legalizing sports betting. 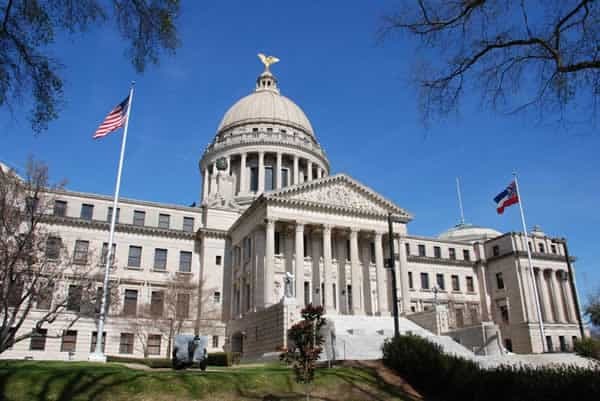 The ambitious legislation had to wait on the outcome of the Murphy vs. NCAA sports betting case in the Supreme Court, but now that PASPA has been repealed as a result of that case the Magnolia State can officially roll out its proposed framework. State lawmakers set out on the task by introducing a 21-page draft on potential regulations. The drafts include provisions for mobile sports betting. The Mississippi Gaming Commission (MGC) is charged with regulating the new market per the 2017 bill that authorized sports wagering. All of the state’s 28 casinos can offer sports gambling options if they get permission from the MGC. Under these conditions, only existing licensees will be able to offer sports gambling. Don’t expect any new exclusively sports wagering ventures to open just yet. The fact that mobile betting is included in the legislation at all is interesting since gambling is restricted to land and water-based operations (i.e. casinos and riverboats). Mississippi’s proposed framework explicitly mentions that sportsbooks can only accept wagers on “licensed premises,” or at “stations or kiosks/terminals approved by the Executive Director.” Regarding mobile betting, the proposed regulations state that it must take place within the approved confines of a licensed betting location. For example, residents will be able to place bets on their mobile devices on the casino floor, but not in facility parking lots or parking garages. Geolocation technology will certainly be used to track this and ensure users are betting from the appropriate location(s). Nevada sports betting regulation permits mobile betting anywhere within state lines. This means residents can place mobile wagers from their homes, favorite restaurants/bars or even standing outside. As long as you are betting within state lines, you are within your legal rights. Mississippi’s regulation stipulates that all mobile wagering must be done within the casino. The sign-up process will be the same in both states. Interested parties must register for a mobile betting account in person. Personal information like your name, address, social security number, etc. In Nevada, residents and visitors can register for a mobile betting account. The account simply stops working once you leave the state. It is unclear whether visitors will be able to do the same in Mississippi, but presumably so. The same rules of wagering inside the casino will apply to visitors. Mississippi seems to be missing an important factor of legislation. Technically, the Federal Wire Act is still in effect and blocks any US based online sportsbook. Nevada is a different case when it comes to gambling laws, but Mississippi should still technically be barred from launching any online sports betting service. It would seem that this mobile sports betting platform falls into the same category as mobile DFS betting, which is allowed in states that have passed legislation on it. There is no definitive timeline on when mobile sports betting will be live in Mississippi. After all, these proposed regulations will probably go through more changes in the coming weeks. It is a positive sign for mobile betting as a whole that Mississippi included it in its legislation. This means other states will follow and there will eventually be a legal mobile real money sports betting network in the US.